A new masterplan for Rotherham town centre is not due to launch until April 2017 but new statistics show that footfall has declined and the number of empty properties has increased. A follow-up piece of work to a Supplementary Planning Document (SPD) is now being commissioned by Rotherham Council that will build on the work of consultants, Arup, and become an important tool in marketing the wider town centre to potential investors and encouraging further regeneration and improvement. It is set to provide "bold and deliverable solutions for leisure, retail, recreation and town centre living" and explains that "a step change in the retail offer of the town is required to revive the sector and ensure that it meets modern needs and requirements." At a cost of around £130,000, consultants are expected to identify national retail trends, and the future role and purpose of Rotherham in an increasingly competitive market. A review of requirements for retail in Rotherham is required, as is an assessment of the impact of the new Tesco superstore and the possible re-alignment of the town's retail offer. With the opening of Rotherham United's £20m New York Stadium on the edge of the town centre in 2010, the town centre experienced footfall rises in 2011 & 2012, however, footfall has fallen over the last two years with a 6% fall in 2014 and a further 6% fall in 2015. The Council believes that these trends since 2011 are not dissimilar to the national and regional picture. 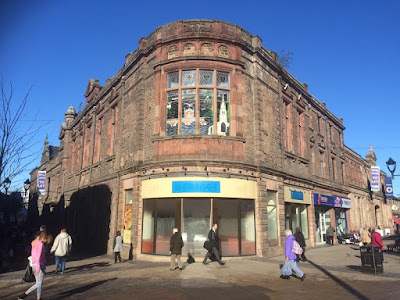 The Council also recognises that developments like the relocation of Tesco and the heritage-led regeneration of the High Street have clearly impacted upon footfall patterns, with some specific locations experiencing significant declines and others clearly benefiting. In 2014, the retail vacancy rate in Rotherham town centre rose for the first time since 2010, according to research by retail experts at commercial real estate advisers, Colliers International. The vacancy rate (the percentage of empty ground floor units in the retail centre) in Rotherham has been as low as 6.1% in 2006, rising to 28.2% in 2010. Colliers measured a rate of 19.7% for April 2014, up from 18.1% in October 2013. For October 2015, Colliers measured that over a quarter of shops were vacant, up from 13.3% in April 2015. 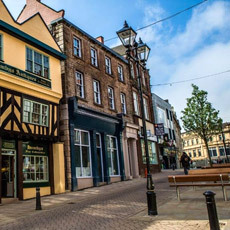 Rotherham Council's own research showed that in 2015, Rotherham town centre had 26.4% of its retail units vacant, double the rate of pre-recession levels. With two new independent retailers opening in recent months, all units on the award-winning High Street are now occupied – the first time in a number of years the street has benefited from a 100% let. A recent Council report stated: "The Masterplan must set out a comprehensive strategy and action plan for improving town centre and gaps in retail opportunities in the town. The strategy should identify the main issues with the retail market and identify how these can be addressed."